Fat is a stubborn foe. Fighting it requires more than a magic pill or quick fix. Burning fat requires time, persistence, and a series of smart tactics and strategies. 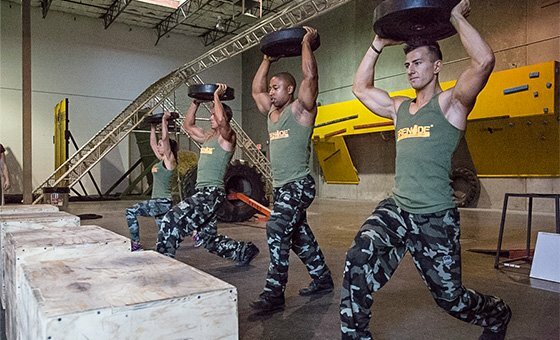 The athletes of Team Grenade have been winning the war on fat for years. They&apos;ve amassed an arsenal of effective tips to help you win your own skirmish. Use their top tips and take your body to a new thermal level! If you want to burn fat, cardio definitely helps, and if you are going to do cardio, you might as well do the most effective form of fat-burning cardio! High intensity interval training (HIIT) is it. I have tried both traditional, steady-state cardio and HIIT cardio, and without a doubt, HIIT has worked the best. Your body burns more calories than traditional cardio even after you&apos;re done training. In addition to HIIT, a late-night cardio session has worked great for me. I throw in a light cardio session shortly after dinner. I do a low-intensity jog for 10-12 minutes just to give my metabolism a boost before bed. 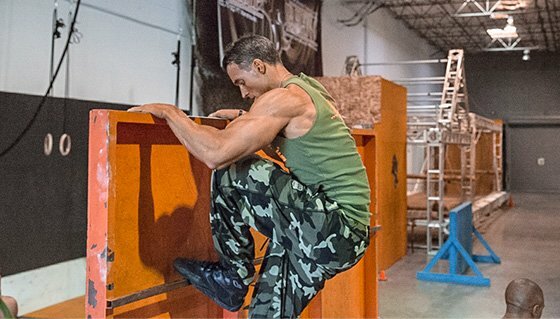 I do this in addition to weight training and HIIT cardio, not as a replacement for either. When it comes to training, reduce your rest! Superset your weight-training exercises and then rest for shorter periods between supersets. Shortened rest periods ensure that you keep your heart rate up, which burns more calories in the short and long-term. Outside the gym, the quality of your rest matters. Try to go to sleep and get the same amount of sleep every night. Recovery and rest are critically important when it comes to getting a lean physique. Lack of sleep raises the stress hormone cortisol and can actually make you hold on to body fat. Have patience! Depending on how much fat you have to burn, it may take you a long time to reach your ultimate goal. It may take a day, a week, a month, a year, or more. Remain consistent, patient, and the results will come. Hang in there. Patience and dedication will pay off if you make the investment. It seems like a simple thing to say, but many of us miss breakfast or skip lunch, snack on junk food during the day, and then maybe eat a decent meal at night. Remember, your body needs calories. It requires nutrients, protein, carbohydrates, and fats to be able to work most efficiently. Get into a routine where you eat balanced meals at regular intervals throughout the day. This approach will provide you with more energy and help keep hunger at bay. All these things contribute to a greater sense of well being. It&apos;s cliche, but think of your body as a lit fire. It needs fuel to keep burning. Your body needs it, too. Increasing your body&apos;s temperature can increase the amount of calories your body uses and help you burn fat. This happens because your body has to work extra hard to regulate your temperature. When you heat up from exercise or a thermogenic supplement, your body uses energy to bring down your core temperature. You can flip this method upside down for similar results! By dropping your body temperature with a cold walk or ice pack, you can force your body to work even harder to raise its own temperature. This becomes easier the leaner you get because you have less fat for insulation. Bring the heat to increase body temp, torch calories, and win the war on fat! Hot peppers and spices also have a role in any fat-loss quest! Hot peppers like jalapeños and habaneros contain high levels of capsaicin, which is a chemical that may boost your metabolism and help you manage hunger. It&apos;s important to look for a fat burner that contains a spice extract like cayenne pepper. It&apos;s also a smart idea to add hot spices to your daily meals. Protein is essential in your quest to drop body fat. It helps you maintain muscle during a cut, and it can even increase your metabolism. Due to the thermic effect of food (TEF), your body burns more calories when you digest protein than when you digest either fats or carbs. Increase your protein to 1-1.5 grams of protein per pound of body weight to increase your metabolism and maintain lean tissue while you burn fat. Keep lifting weights and make sure you frequently hit compound movements. Don&apos;t trade the big-bang exercises for isolation movement. The more lean mass your body holds, the more calories your body will burn each minute. This is the physical state that leads to increased fat loss. Training with weights will also increase your metabolism, change your body weight, and change your body shape to look the way you want it to. If you want a bikini booty or a board-shorts core, then you better lift for it!